How Often Does the Average Homeowner File Insurance Claims? 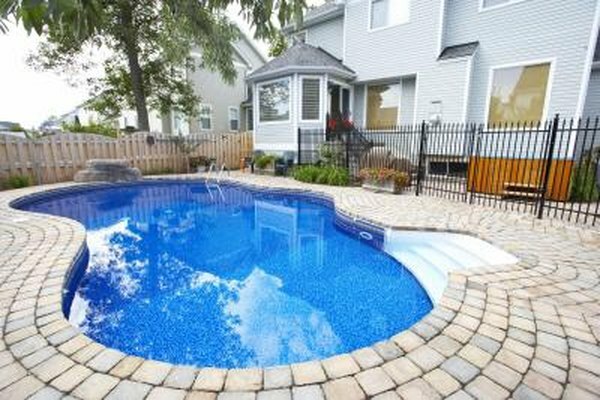 Pools can result in expensive personal injury claims. 1. Can Homeowners Insurance Rise After Three Claims? 2. Does Owning a Pit Bull Raise Your Homeowners Insurance? 3. Does Homeowners Insurance Increase From Year to Year? Homeowners insurance policies generally protect homeowners from claims brought against them by other parties, for harm such as dog bites or slips and falls on the property. These policies also typically protect the property owner or mortgage holder if the property is damaged by an occurrence such as a storm or fire. A homeowner must decide whether damage is serious enough to justify filing a claim, because the claim could result in the insurance company raising the homeowner's premiums or canceling the coverage. Property owners rarely file claims. According to the Oregon Insurance Division, the average homeowner makes a claim every nine years. Insurance agent David Shaffer says it's once every 10 years, according to insurance company underwriters' studies. Homeowners claims are filed less frequently than automobile claims because houses don't move: Essentially, the event must come to the home. The most common types of claims include water damage, personal injury, dog bites and fire damage. Insurance companies know the average number of claims filed by homeowners, and they seek customers who'll file fewer claims than average. Insurers seek to make profits by collecting more money from premiums than they pay in claims. Most insurers look carefully at any homeowner who files more than two claims in a three-year period. Any behavior that could increase the risk of claims, including running a home business, can lead to higher premiums. Homeowners generally must determine whether an event is serious enough to warrant a claim. Premiums might double after filing just one claim, so savvy homeowners might calculate the total estimated loss from the event, such as storm damage to gutters or medical bills for a guest who fell. If the total loss substantially exceeds both the homeowner's deductible and the additional increase in premiums, the homeowner might decide to report the claim. A homeowner filing a claim might think that she can escape higher premiums simply by changing insurance companies. This is unlikely to work because insurers track claims in national databases, called CLUE and A-PLUS. These databases include the date of loss, the type of loss, and the amount paid by the insurer. Sometimes, even inquiries not resulting in claims can count against an applicant. Claim information stays on a CLUE report for five years. When Does Homeowners Insurance Pay for Legal Fees?